NEW! Bumble and Bumble SumoGel! Bumble & bumble has a new product on the shelves! 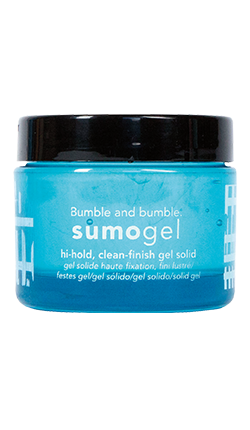 SumoGel is a high hold, translucent gel for all hair types and textures. It replaces the classic gel offering no flakes, just a natural sheen finish. Apply to damp hair, comb into place, and allow it to air dry. Stop by Urban Betty to try it for yourself today!